A disgraced General holds the US President to ransom by commandeering a nuclear missile silo. 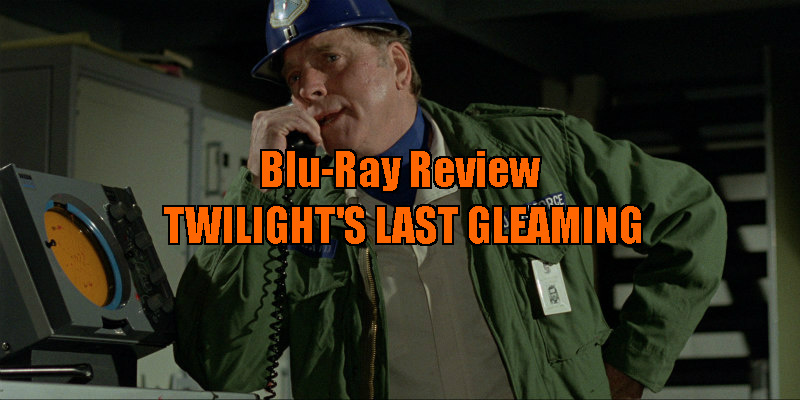 Twilight's Last Gleaming may have proved more successful, both creatively and financially, had it been made by Aldrich 15 years earlier, or by one of the era's 'movie brats', but it justifies rediscovery in these more clued in and cynical times. Today it's largely accepted that the US conducted the war in Vietnam not to defend the citizens of that nation but rather to send a signal to the Soviet Union that America was willing to make great sacrifices in the cause of halting the spread of communism. When Robert Aldrich made his conspiracy thriller, Twilight's Last Gleaming, in 1977, audiences weren't quite ready for such cynicism, and so the film proved something of a box office flop. Due to Aldrich's liberal use of split-screen, the film was impossible to format for pan and scan VHS, and so its home entertainment life wouldn't begin until a DVD release in 2007. As a result, this new blu-ray release from Eureka's Masters of Cinema label is surely the best the movie has looked since its ill-fated run in theatres 39 years ago. 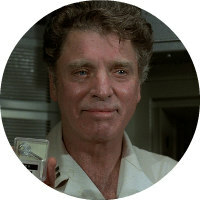 In Aldrich's film, based on Walter Wager's 1971 novel Viper Three, the truth about US involvement in Vietnam has fallen into the hands of disgraced former Air Force General Lawrence Dell (Burt Lancaster). Breaking out from a military prison along with a trio of hoods, Dell commandeers a Montana silo, home to nine nuclear warheads, which he threatens to launch if President Stevens (Charles Durning) refuses to reveal the truth to the American public. Aldrich cuts between the silo and the Whitehouse, where Stevens debates a course of action with a variety of political and military leaders, played by such veterans as Joseph Cotten, Melvyn Douglas and Blacula himself, William Marshall. Essentially we have two distinct movies here, one a cold war thriller that spins a series of suspenseful sequences as the military attempts to breach the silo, and a Twelve Angry Men in the Oval Office drama as Stevens and his subordinates trash out the best way to save both their own skins and the fate of the world. It's the latter that's the most engaging, with Stevens representing a somewhat naive new breed of politician, attempting to do the right thing by the American people while the older men in the room gradually manipulate him into becoming a sacrificial lamb. Durning would never be awarded such a front and centre meaty role again, and he embraces his chance in some style, delivering a powerhouse performance that overshadows the bigger names in the cast. Lancaster however feels out of place and out of time here - his acting style never quite adapted to the changing times - but this actually works quite well for his portrayal of a character living on a pre cold war ideal of America's noble role in the world. Aldrich was one of those veteran directors who kept plugging away in the '70s, competing with the young bucks of the New Hollywood movement, and while his direction is mostly solid here, those split-screen sequences feel like an old man trying on a leather jacket, and are often distracting, particularly in the case of some poorly co-ordinated overlapping dialogue. Twilight's Last Gleaming may have proved more successful, both creatively and financially, had it been made by Aldrich 15 years earlier, or by one of the era's 'movie brats', but between some knockout performances and a couple of tense set-pieces, it justifies rediscovery in these more clued in and cynical times. A making of documentary and a booklet featuring new writing and archival images. 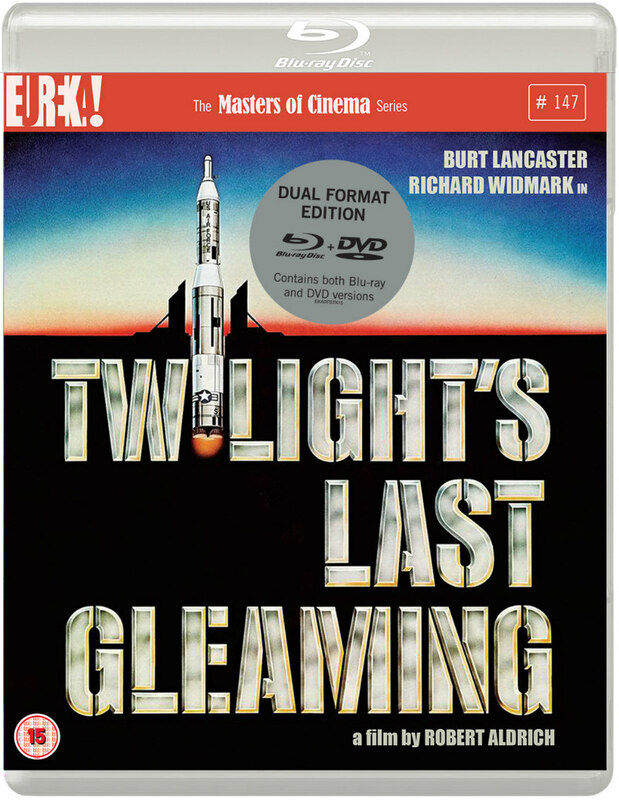 Twilight's Last Gleaming is released on blu-ray October 31st by Eureka Masters of Cinema.